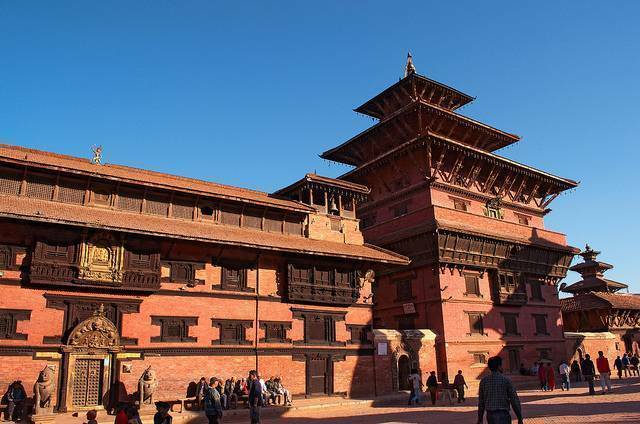 The most important monument of the city - Patan Durbar Square is a glorious place of its kind. It is considered to be the most majestic spot in Patan.The architecture is beautiful and splendid. The floor of the square is built of red bricks. Kathmandu Valley has three Durbar Squares and this is one of them. It is situated just at the heart of the city. Initially, it was a royal palace (residence of the Mallas) but now it serves as a home of a museum. The royal palace of the Mallas are still considered to be one of the attracting spots.There are three main courtyards or ‘chowks’ inside the square- Keshav Narayan Chowk, Mul Chowk and Sundari Chowk. There are also various temples and sacred idols built inside the Square. There is also a giant bell here which hangs within two stout pillars. It has been placed under the UNESCO’s World Heritage Sites.